Mohammadi, A. (2014). Possibilities of independent learning in two self-access facilities of an Iranian university. Studies in Self-Access Learning Journal, 5(3), 235-245. The roles that self-access centers play in language learners’ development of autonomy considerably vary in accordance with the institutional features attributed to their structure and the services they offer. As part of a larger study which assessed 100 learners’ readiness for autonomy, this paper reports on the status quo of two facilities at the humanities faculty of an Iranian university, based on English-as-Foreign-Language (EFL) learners’ views and practices. Seven undergraduate EFL learners from various years of study were asked to describe the ways in which they exploit self-access services for language learning purposes and express their opinions vis-à-vis their functionality through semi-structured interviews. Findings reveal that most learners preferred not to attend the computer center, principally because, the Internet, as the most widely acknowledged service, had become available in other places around the university, such as in the dormitory. The reasons for this reluctance are highlighted, along with a presentation of some suggestions for upgrading learners’ participation in self-access language learning in similar contexts. Keywords: autonomy, self-access language learning, out-of-class learning, EFL. 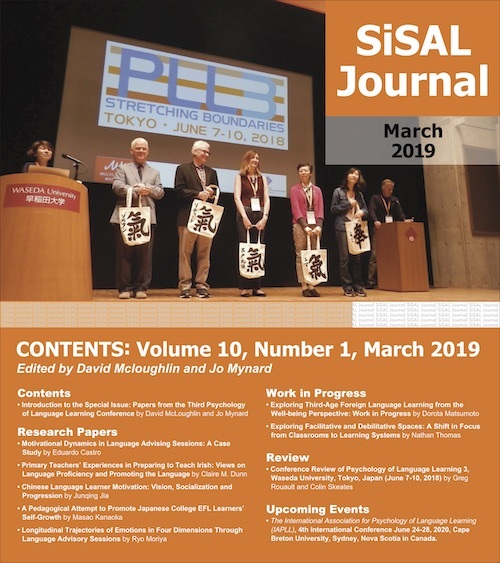 Self-access language learning (SALL) has gradually grown into a mature area of research within the field of applied linguistics since the late 1970s. Nowadays, a self-access center (SAC) is an expected component of any language learning program seeking to develop autonomous learning. Parallel with the ideas that underlined the importance of helping learners to become more aware of their own role in language learning, the notion of self-access can pragmatically facilitate such individualized learning practices (Sheerin, 1997). However, various resources need to be in place in order to help students achieve their goals as autonomous learners. For instance, human resources are required because most learners need at least a period of guidance to adjust to the principles of self-directed learning in a SAC (Sinclair, 1996). In addition to this, investment in building a physical space and purchasing facilities are also needed. Moreover, managing institutions need to understand that creating a successful SAC relies a great deal on a number of factors: adequate staffing and effective management (Gardner & Miller, 1999; 2013), organized support services including regular advisory and counselling sessions as well as strategy training (Mynard & Navarro, 2010; Dofs, 2007), careful material selection and/or development (Navarro Coy & Brady, 2003), and evaluation of SALL (Morrison, 2005). Arguably, these services are vital to the promotion of autonomy as an explicit goal of education in the form of self-access, because a mere provision of facilities is not equivalent to all learners’ better acceptance of responsibilities for learning (Benson, 2001). Despite these, as Ahmadi (2012) speculates, the concept of autonomy is still new to most Iranian universities and indeed only few of them are providing SACs for their pupils. Although SACs are often considered as self-study areas for language learning, study areas in libraries or other parts of an institute shared by both language and non-language students can also be regarded as a SAC. Such multiuse areas in universities are becoming more common and our previous concepts of a SAC have to be broadened. This is the context of the present article where two separate physical environments in the humanities faculty of the University of Kashan serve as computer center (CC) and self-study center (SSC). This pilot study aims to find out about the current issues of these two self-access facilities and delineate the quality and workability of the services they offer. In so doing, besides the enumeration of existing human and non-human resources, seven EFL learners were asked to describe their CC- and SSC-based practices and express their opinions about usefulness of the centers in providing opportunities for more independent learning. Prior to that, the physical and functional features of the investigated facilities are presented. The humanities faculty was relocated on-campus in 2009. The new faculty building accommodated an area as a computer/learning center, open from eight in the morning to five-thirty in the afternoon, Saturday to Wednesday. The physical space of the CC is divided into two separate areas, one for male and the other for female students. Each of these spaces is equipped with around 45 computers, ordered on five long tables, making a double five-row sitting place. There is the same number of work chairs as of computers, which roughly means that the CC is not designed to promote group learning or discussion and primarily concentrates on learner’s individual use of computers for independent learning. The center offers internet service both through the computers there and also through wireless access for students who want to connect by personal devices such as laptops or smart phones. An important issue is that the CC is not an English language self-access facility and students from various majors at humanities faculty (e.g. psychology, philosophy, behavioral sciences, etc.) can openly access the center to use computer- and internet-related services. Since more than 2000 students attend the humanities faculty for their education, it goes without saying that the CC is almost always packed with students working on their projects or simply surfing the web or even entertaining themselves by playing computer games. There is only one technical support person working at the CC. He mainly copes with the maintenance of the computer systems and is in charge of running the center on an every-day basis. He has a small room of his own within the CC environment, where he can monitor learners’ activities and also aid them with difficulties they come up with while using certain off/on-line programs. Indeed, the students attending the CC (from all educational backgrounds) do not expect any pedagogical guidance from the manager pertinent to their specialized courses. They mainly attend the center to satisfy a learning need they have personally identified or sometimes for classroom-assigned activities, such as searching online for finding a piece of work for presentation before the class. The main service offered through the CC is the Internet, however, some systems are often out of order or the internet connection is quite slow. Based on students’ level, i.e. Bachelor, Master, Doctorate, they are allocated a certain amount of monthly internet quota. The various uses that they make of their quota depend a lot on their personalized ways of web surfing and online behavior. The other prominent resources at the CC (that gives it a little color of real self-access) are media files in the form of a collection of CDs, DVDs, and cassette tapes. CDs and DVDs can be accessed for use only within the center, but the tapes are also available for borrowing. The content of these discs noticeably vary with respect to the miscellaneous courses offered in the humanities faculty, however, a great deal of this material is provided to English language students for self-directed learning. Examples include e-book collections, audio-featured vocabulary books, listening materials in forms of audio-books (e.g. stories, famous novels, historical narrations), songs (e.g. from Celine Dion and Chris de Burg), subtitled movies, lectures, discussions, and TOEFL/IELTS listening tests. There are also computer software such as the ones containing self-study grammar practice, reading texts from multiple disciplines, encyclopedias, and programs for practice of spoken language, such as ‘Tell Me More’. There are no equipment such as recorders, CD, MP3 or DVD players accessible at the center and students are routinely supposed to purchase them on their own. The SSC environment is a quiet space for students to conduct their reading of both the materials presented at the center and their own materials. The main aim of the center is to provide encouragement to students to develop their reading abilities. Its physical space is constituted of the former language laboratory plus a large hall connecting to it through two corridors. There are more than 100 formal study chairs ordered around 25 study desks. Students can also utilize the wireless internet access via their personal devices. The materials at the SSC are mostly magazines, journals and periodicals in Persian, and to a lesser degree English, available for use only inside the SSC. Often they are scholarly and academic in nature, but there are also some materials on social, every-day life to foster free reading among students. There also are offered a variety of English newspapers such as ‘Tehran Times’ and ‘Iran Daily’ specifically for students of English language. The SSC is managed by an administrator whose main responsibility is to keep the center in order. He is a librarian by training and his field of expertise concerns book keeping and material resources selection. SALL can be used to expand the control over learning environment in ways that offer more freedom of choice and self-direction. Such language learning might maximally happen in centers with an explicit goal of learner development. However, the utopian SAC on the mission of fostering language learner’s autonomy and armed with all the necessary facilities, staff, and advising services does not exist within the present study context. This has led many Iranian EFL learners to conceive of self-access as an optional learning mode beyond the classroom. To deepen understanding on whether the two mentioned facilities in the humanities faculty of the University of Kashan are of useful service to learners for conducting more independent learning activities, the following question was posed: What are EFL learners’ current practices in and ideas about learning in their institution self-access settings? A small group of seven students were interviewed on an individual basis to gather data concerning the learners’ independent learning in out-of-class contexts. The interviewees were selected according to the richness and variation of their out-of-class learning activities reported in a questionnaire administered with 100 learners on campus and based on ease of access (Spratt, Humphreys, & Chan, 2002). Interview questions were basically focused on the details of the learners’ autonomous learning activities beyond the classroom. CC/SSC-based learning were categorized as autonomous learning moves, because learners often attend the facilities out of personal learning needs and there are no institutional compulsions for SALL. Nonetheless, inquiries into learners’ states of SALL were essential to a fuller understanding of learners’ self-directed learning behaviors outside the class. The findings of the original study revealed that learners are more active in creating learning opportunities in their EFL institutional and social contexts outside the classroom than we routinely assume (Moini & Mohammadi, in press). During the interviews, questions about the frequency, purpose and usefulness of learners’ independent language learning that centrally took place in self-access settings were investigated. Learners were asked to provide examples of their learning experiences in CC/SSC, if any; and further reflect upon the items they had possibly learned in a self-access fashion. Learners rarely indicated that their teachers assigned them with work to be done in the CC to prepare for a lecture. Interviewees’ ages ranged from 18 to 22 and they were two first- (M.T., M.F. ), three second- (A.M., V.F., S.H. ), one third- (R.A.) and one last-year (M.S.) students of English language majors. For ethical reasons, they are given acronyms. See Table 1. It’s always very crowded . . . I don’t go to CC . . . because we have Wi-Fi at the dormitory; I use my laptop in my room to connect to the Internet. I don’t go to CC . . . because it’s too noisy and crowded. I use the Wi-Fi at dormitory. I used to go to CC during the first semester but not now. We have got Wi-Fi at dorm [now]. I sometimes sleep during the day and stay up throughout the night [to use dormitory Wi-Fi Internet] . . . no need to go to CC anymore. I would go to CC if only there is something urgent I have to do online [on-campus]. If there’s a [TV] program I want to watch or listen to, I would download it from the Internet. I downloaded nearly 6 gigabytes of documentaries and movies at CC last semester. I try to visit some specific websites . . . like ‘Helium.com’ that contains materials about our major, which is [English] literature. I also like to read scientific texts online . . . or about art, which is my favorite. Or you have a profile in social networks, and someone introduces something and you see it and go to read [about it]. When I read a novel but don’t understand some parts, I would get a summary of it online to know the characters. Internet is useful. Even I prefer to talk to my teachers and not attend some of my useless classes wherein I don’t learn much and instead go to the CC to do my own learning. Learners talked neither negatively nor positively about the SSC. They generally believed the resources provided at the SSC were adequately diverse and met their expectations. Despite this, only one learner indicated an active attendance to the SSC for reading the materials there (English newspapers) and two learners described it as a ‘nice’ place for studying during the final term examinations. This is far from the goals that have been initially set by the authorities, which have been to foster free-time reading among students rather than under-pressure studying for the tests. The two facilities described in this paper (CC/SSC) were multiuse common computer/study areas for all majors of the Humanities faculty in the University of Kashan. Although there has been no formal assessment whether they are reaching their aims in terms of fostering independent learning among the faculty students, some of the EFL learners in this study reported attendance to the facilities merely for using the Internet. Nonetheless, some other learners demonstrated unwillingness to attend the CC basically because they could not conduct their independent learning in a crowded and noisy place. Instead, they reported a shift in using the Internet service in other places such as dormitory. None of the participants indicated proactive use of the material resources available at the facilities. The most significant reason for this lies upon the policies that university authorities have established. Despite encouraging direct access to the sparse learning materials, no clear agenda or long-term plan is defined for the CC/SSC to help learners take more responsibility for their learning. This is at odds, for example, with the well-accepted principle that institutional encouragement of learners to assume more control over their learning has to manifest itself also in training specialist managers, besides the money and space they invest in establishment of a SAC (Gardner & Miller, 1997). A dearth of provision of appropriate learner support programs on the institution side, supposedly, means that learners’ occasional participation in self-access learning draws on their personal learning preferences and needs rather than a soundly set initiative for augmentation of SALL. In this sense, it could be argued this study identified the learners’ self-access activities manifesting as well as contributing to their autonomy. This is in line with Ahmadi’s (2012) findings that Iranian learners recognize themselves as most responsible for expansion of their learning beyond the language class. The other goal of this study was to evaluate usefulness of the CC/SSC in providing learners with opportunities for more independent learning. It was hoped to gain such knowledge by examination of what learners actually do in self-access facilities (Sturtridge, 1997). Despite its limited scope of services, EFL learners still exploited the CC for boosting their English language ability. However, the majority of the tasks described by learners pointed to the role of Internet in regulation of their learning and did not particularly demonstrate connections with the center itself. This might, inter alia, imply that learners have turned to using Internet as an appropriate and preferred resource for conducting self-directed learning instead of the other services at the facilities, particularly that they are not purpose built for SALL. An essential measure in this regard is providing a more efficient Internet service for students throughout the campus. Training learners on various aspects of online searching/researching might also widen their self-directed learning abilities. Moreover, it seems to me that, by merging both the CC and the SSC into a single self-access facility the university authorities can resolve the discomforting problems that were reported to exist within the CC environment. It is important to note that this study only included seven participants and their perceptions and practices do not represent the full range of EFL learners’ self-access experiences in the examined institute. Further research with larger samples is needed for deeper understanding of how learners’ cognitions are set with regard to SALL and what they actually need in order to improve their self-access learning activities. Similarly, practitioners are prompted to utilize consciousness-raising schemes to explore learners’ feedback regarding more independent learning in an adequately guided self-access facility. I would like to sincerely thank Dr. Lindsay Miller for kindly accepting to read and comment on the earlier draft of this paper. Afshin Mohammadi earned an MA in TEFL from University of Kashan, Iran. His main research interest is the contribution of out-of-class learning to language learner autonomy. Gardner, D., & Miller, L. (1997). A study of tertiary level self-access facilities in Hong Kong. Hong Kong: City University of Hong Kong. Moini, M.R., & Mohammadi, A. (in press). Iranian EFL learners’ autonomous behavior in out-of-class contexts: A call for understanding learners’ personalized approaches to learning. Journal of Teaching Language Skills. Morrison, B. (2005). A framework for the evaluation of a self-access language learning centre. Proceedings of the second conference of the Independent Learning Association, Auckland, New Zealand, September 2005. Sheerin, S. (1997). An exploration of the relationship between self-access and independent learning. In P. Benson & P. Voller (Eds. ), Autonomy & independence in language learning (pp. 54-65). London, UK: Longman. Sinclair, B. (1996). Materials design for the promotion of learner autonomy: How explicit is explicit? In R. Pemberton, S.L.L. Edward, W.F.O. Winnie, & D.P. Herbert (Eds. ), Taking control: Autonomy in language learning (pp. 149-165). Hong Kong: Hong Kong University Press. Sturtridge, G. (1997). Teaching and language learning in self-access centres: Changing roles? In P. Benson & P. Voller (Eds. ), Autonomy and Independence in Language Learning (pp. 66-78). London, UK: Longman.